Also, Thursday concert series at Gratwick Park wants city to give discount on fees. 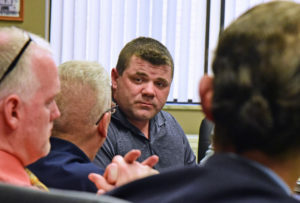 Glenn DiTillo appeared before the North Tonawanda Common Council at their Tuesday work session to ask for their support in his effort to establish the nation’s first “The Alpha and The Omega” one-stop shop for veterans support services. “This is going to make history,” said DeTillo, who’s a Marine Corps veteran as well as a minister. 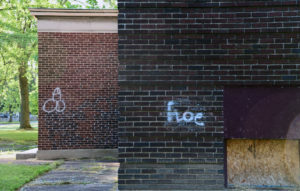 In the process, a prominent Wheatfield Street eyesore would get a $1.5 million to $3 million renovation that would feature services for veterans transitioning back to civilian life as well as 100 to 200 beds in a barracks-style arrangement to house them on a temporary basis. DeTillo (above) said the project has the backing of Roger Woodworth of Veterans One-stop Center of Western New York. Money is tight in the city budget, though, said councilman Jeffrey Glatz. The Alpha and Omega Retreat is looking for grants and other forms of funding but was also looking to the city for help getting the building back on its feet and the organization — which wants to go nationwide — off the ground. DeTillo said the for Col. Payne school is still in good shape and he’s excited to get veterans in there to receive counseling, job training, fellowship, and possibly even services like physical therapy. City Attorney Luke Brown advised DeTillo to get a building-department walk through and make sure it’s suitable for the intended use. Brown cited narrow hallways that previously prevented the building to be used for a proposed housing project. 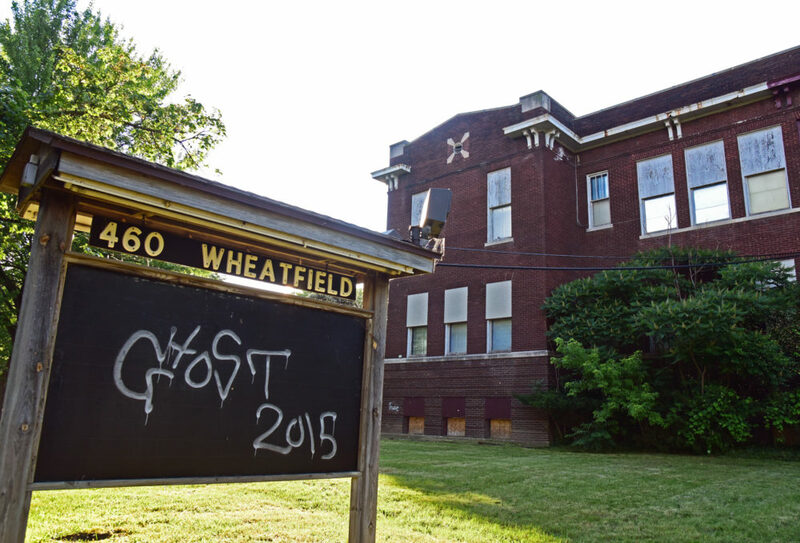 DeTillo said a forthcoming executive summary would provide more details to council members and residents on plans for the property at 420 Wheatfield St., which has been empty since 2011. In other news, Brown said he’s renegotiated the city’s insurance policy resulting in a $43,000 savings. New to the city’s insurance coverage are cyber and terrorism categories. The council convened a special session to approve the move in order to exit the current policy and have the new one take effect by July 4th. “I wouldn’t normally ask you to go into a special session,” Brown said. Also, Thursday concert series promoter Jeese Gooch is looking to have the $300 per-week fee for renting Gratwick Park reduced. Pecoraro said he’s almost finished drafting a policy regarding rentals at the city park. “So these discussion don’t have to take place over and over,” Pecoraro said. 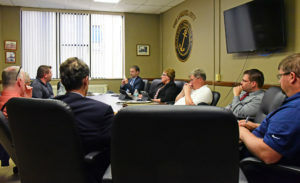 Pecoraro also said his recommendation regarding a firm to handle renovations at the waste water treatment plant would be voted on at the July 3rd meeting. This is a great old building and should b used dorm something as honorable as serving the veteran. It has served elementary children, then hosted the head start program. The old building would be honored to host veterans as it is named after a man who served his country.